(WASHINGTON) The National Consumer Law Center, on behalf of its low-income clients, and 50 other national, state and local civil legal aid, civil rights, and public interest groups filed a petition today with the Federal Communications Commission urging reversal of its recent Declaratory Ruling in the Broadnet case. The FCC’s ruling will allow federal contractors, who are agents of the government, to make unlimited robocalls to consumer cell phones without consent, and it eliminates the ability of consumers to stop these calls, or to seek relief from too many unwanted calls from these contractors. Groups joining the petition include Americans for Financial Reform, Center for Responsible Lending, Consumer Action, Consumer Federation of America, Consumers Union, Justice in Aging, NAACP, National Association of Consumer Advocates, National Association of State Utility Consumer Advocates, National Legal Aid & Defender Association, Public Citizen, Public Justice, and U.S. PIRG. The Commission’s July 5 ruling, issued in response to a petition by three industry groups, declares that when federal contractors are acting as agents of the federal government they are completely exempt from coverage under the Telephone Consumer Protection Act (TCPA). The TCPA generally prohibits automated and pre-recorded calls to cell phones, as well as text messages, unless the consumer consents. The TCPA also prohibits caller-ID spoofing, where a false name appears on the consumer’s phone. The petition states that the Commission’s recent ruling violates the TCPA, recent Supreme Court precedent, and is beyond the FCC’s authority. “If the FCC does not reverse its decision, tens of millions of Americans will find their cell phones flooded with unwanted robocalls and text messages from federal contractors with no means of stopping these calls and no remedies to enforce their requests to stop these calls,” said National Consumer Law Center attorney Margot Saunders. The ruling opens the floodgates to calls on behalf of any part of the federal government for any purpose whatsoever, regardless of importance. “For example, people could be hit with robocalls to their cell phones asking their views on the many surveys conducted every year, calls setting up “citizen town halls,” or pushing jobs to the totally disabled, Saunders explained. Robocalls could be made not only to specific people who have dealings with the federal government but to anyone whose number is chosen at random. “Congress recently gave federal debt collectors an exemption from the robocall ban, but imposed important limits on those calls. Now, all bets are off,” added Saunders. The TCPA is an essential privacy protection law passed in 1991, and it remains important. In the first four months of 2016, consumer complaints to the FTC regarding unwanted robocalls spiked to an average 279,000 per month, a trend that will result in more than 3 million complaints in 2016. 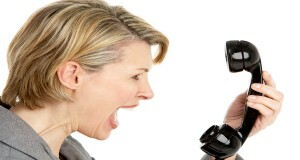 Consumers routinely complain about wrong number calls, continuing to receive calls after requesting that the company stop calling (nearly half of all calls in 2015), and abusive debt collection and telemarketing calls that consume time and cell phone minutes, pointing for the need to increase, not decrease, the protections in the TCPA. While many of those calls are not from federal contractors, “Americans value their privacy and do not want the vast reach of the federal government and all of its contractors to have unlimited freedom to robocall their cell phones,” Saunders explained. Additionally, the increase in unwanted calls takes a disproportionate toll on low-income consumers living on stretched budgets as many use pay-as-you go cell phone plans and the unwanted calls gobble up precious limited minutes. The National Consumer Law Center is a nationally recognized expert on the TCPA. For more information, please visit: http://www.nclc.org/issues/robocalls-and-telemarketing.html. Consumers Union can connect reporters with consumers frustrated with being harassed by robocalls. Please contact Michael McCauley at mmccauley@consumer.org or 415.902.9537 (cell). Saunders’ testimony on May 18, 2016 before the U.S. Senate on this topic is available at: http://bit.ly/27vWXlV. Witness testimony, opening statements, and an archived video of the May 18 Senate hearing is available at: http://www.commerce.senate.gov/public/index.cfm/hearings?ID=7FDEF85E-BF1F-475C-BE3F-1E011EA5A909.